With great pleasure, we would like to inform you about new phytocomplex, providing full and fair life to women in menopause! 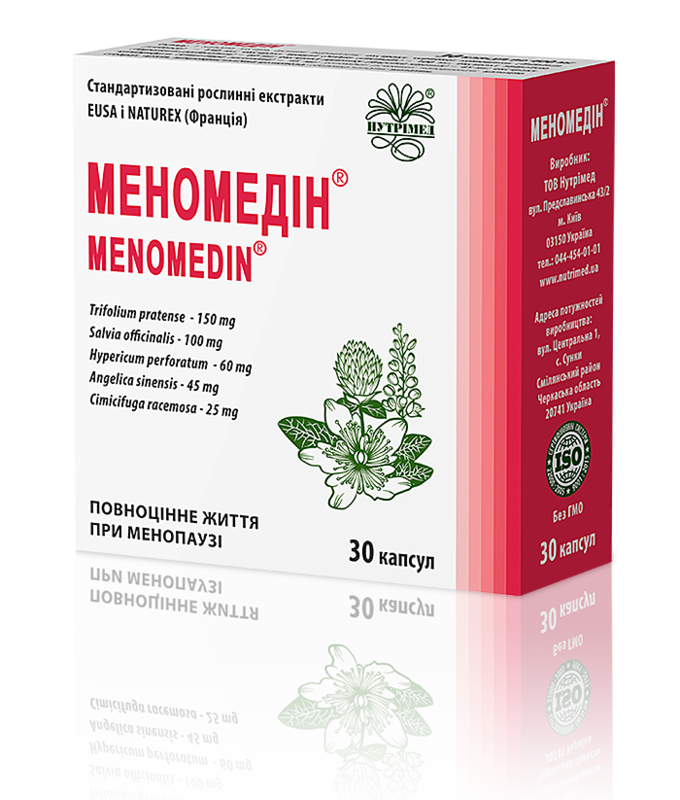 MENOMEDIN® reduces the neurovisceral signs (hot flashes, night sweats), improving the psycho-emotional state (relief of anxiety, nervousness, nervous strain, depression), preventing the development of the age-related changes in the menopause (cardiovascular disorders, osteoporosis). Menomedin® – living a full life during menopause! Nutrimed company takes care about women’s health!